The seventeenth hole on the Old Course is quite possibly the most difficult hole in golf. Last year during The Open we saw player after player take their medicine and commit to giving themselves the best chance of a putt for a par 4 by favouring the left hand side and a longer second shot. But regardless which tee you play from, one thing is certain, from tee to green there is so much to contend with, you’re never truly safe until you’re picking your ball out of the hole. After you’ve selected a letter on the wording of the old sheds and hopefully executed a good drive you are then presented with a long iron, or a fairway wood into a very narrow green with the Road Hole bunker positioned on the left side and an actual Road on the right side of the green, the approach is a real headache and a test of your golfing nerve. As you can see from the clip below my approach was slightly pulled to the left, the undulating slopes then filtered the ball into the famous Road Hole bunker. This bunker has seen a huge amount of action over the years, arguably the most famous was the Japanese golfer Tommy Nakajima back in 1978 when he infamously took four to get out of this bunker en route to a nine, while in contention at the Open Championship. In more recent times, Rory McIlroy putted into the bunker during the Alfred Dunhill Links Championship; however he hit a fantastic bunker shot and held the putt for bogey. 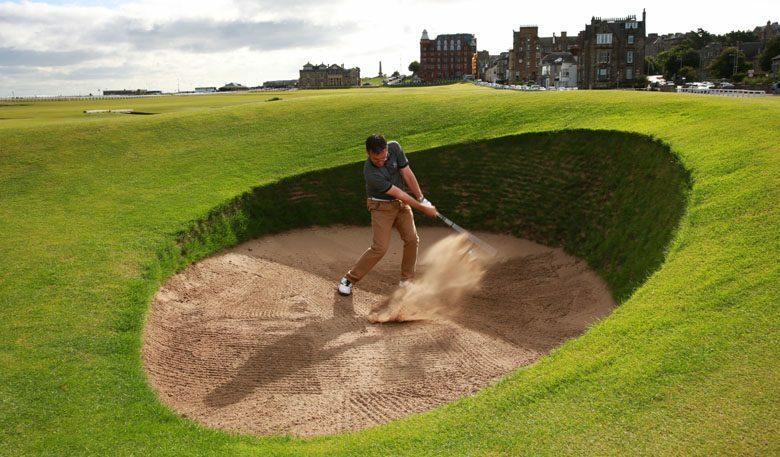 This bunker shot is difficult because not only do you have to deal with a sheer face at the front of the bunker, but you have to be careful not to hit the ball too far and end up on the Road the other side. Excellent technique, great concentration and a steady nerve are required on this very difficult bunker shot. 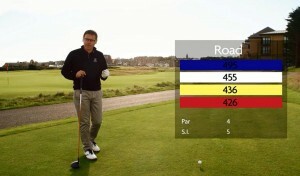 If you push your approach as I suggested, you could well end up on the Road to the right of the green. 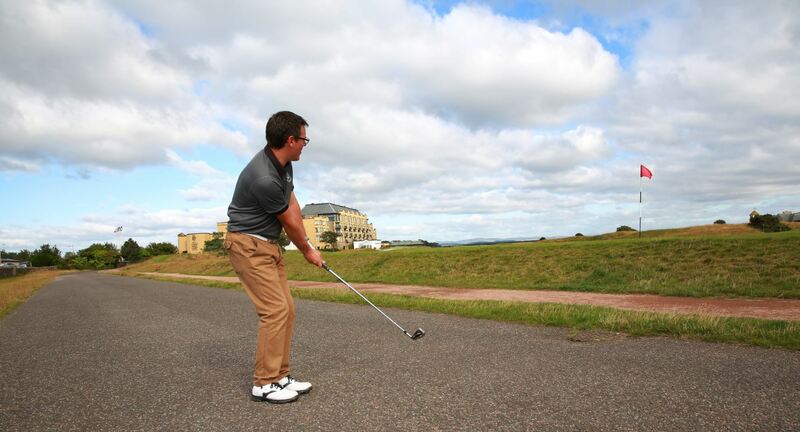 This is an integral part of the course therefore you have to play it, or take a penalty. Again over the years many professionals have had this same dilemma, most choose to play the shot as it lies. The difficulty and where I see most people struggle with this execution, is down to the fact that a lofted club is used. The safer and easier option is to use the seven iron and play it as a chip and run up the slope – the difficulty here is in the fact that there is rough on the bank net to the green, so you are somewhat gambling on a good bounce from the golfing gods. Both situations will test your golfing ability, but if you do manage to get them ‘up and down’ for par, you’ll dine out on that shot for many years to come!